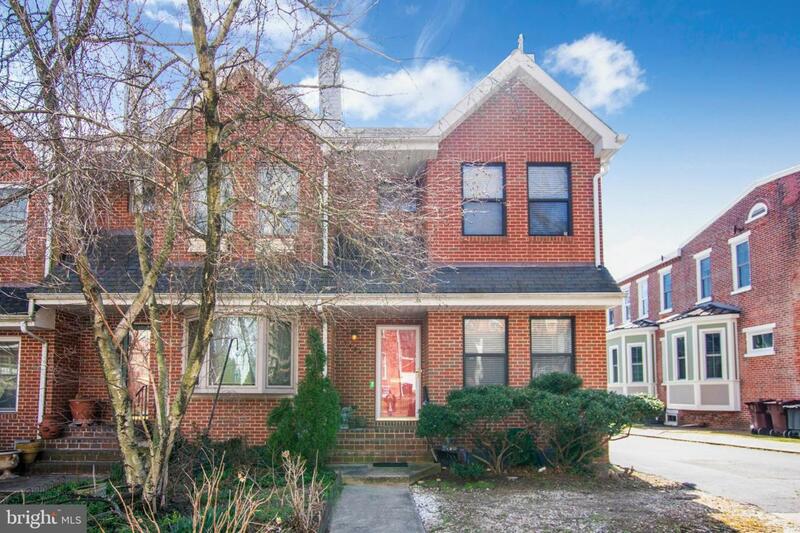 Wonderful opportunity to own in the highly desired Trolley Square neighborhood of Wilmington! This private end unit townhome home is ready for you to move right in! You are welcomed to the property with low maintenance landscaping and a brick facade. Upon entering the home, an open concept living space greets you. This room features great natural light and a beautiful wood burning fireplace. Entertaining is made easy in this home with a large dining room that has rich hardwood flooring, recessed lighting and close proximity to the kitchen. The kitchen is nicely updated with new granite countertops, crisp white cabinetry, new stainless steel appliances and recessed lighting. A convenient sitting area with lots of windows makes quick meals enjoyable. A half bathroom finishes the main floor. The basement has been finished to include an additional living space for a media room and enjoying family time. Retreat to the master suite at the end of a long day. This room has plush carpeting, his & her closets, oversized windows and a great en-suite bathroom. A large second bedroom is also on this level with vaulted ceilings, plush carpet and lots of natural light. An additional full bathroom and laundry finish the second floor. Continue to the loft that is ideal for an office featuring skylights and a high ceiling. Outside, the home has a nicely appointed deck for entertaining in the summer months and also has off street parking. The HVAC has been recently serviced and the home has been meticulously maintained by its current owner. Ideally located within walking distance to Brandywine Park, shopping, restaurants and seconds from I-95. Schedule your tour today! Exclusions Personal Property & Light Fixture Over The Dining Room Table.